Today I'm painting an owl. The photo came from a web site called Paint My Photo. link. It is a wonderful site where photographers post images for the purpose of inspiring a painting. The photo was taken by Tracey Hollis Rowe. 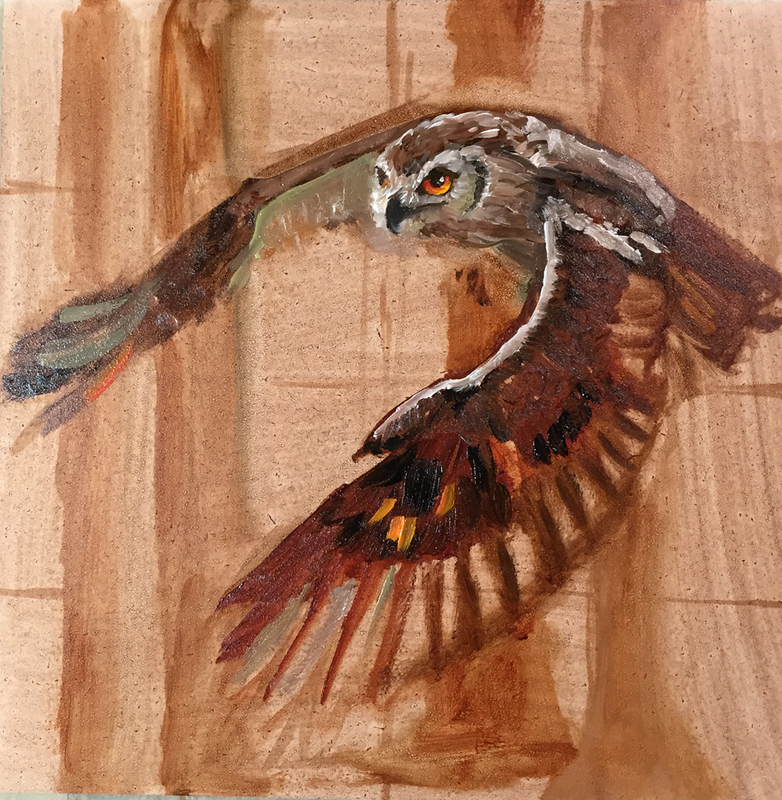 Here I have drawn the image on a 6" x 6" gessobord with burnt umber thinned with Gamsol. I used this color so it would blend in with the owl as I paint it. 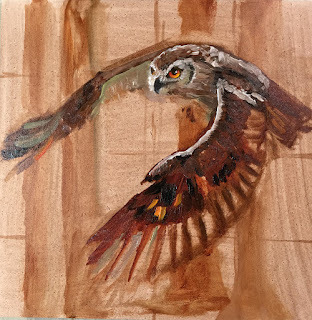 For the next step, I paint the owl. using mixtures of burnt sienna ultramarine and white. 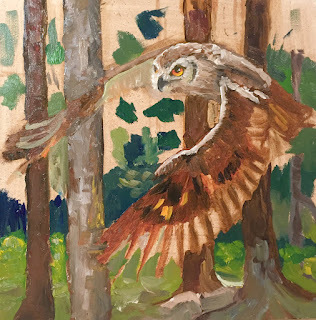 After I painted the owl, I start adding in the background trees starting with the dark colors. The greens are mostly thalo blue and cad. yellow. Finally I get all the background painted. Stop for a few days to let the painting dry before I make any final adjustments. 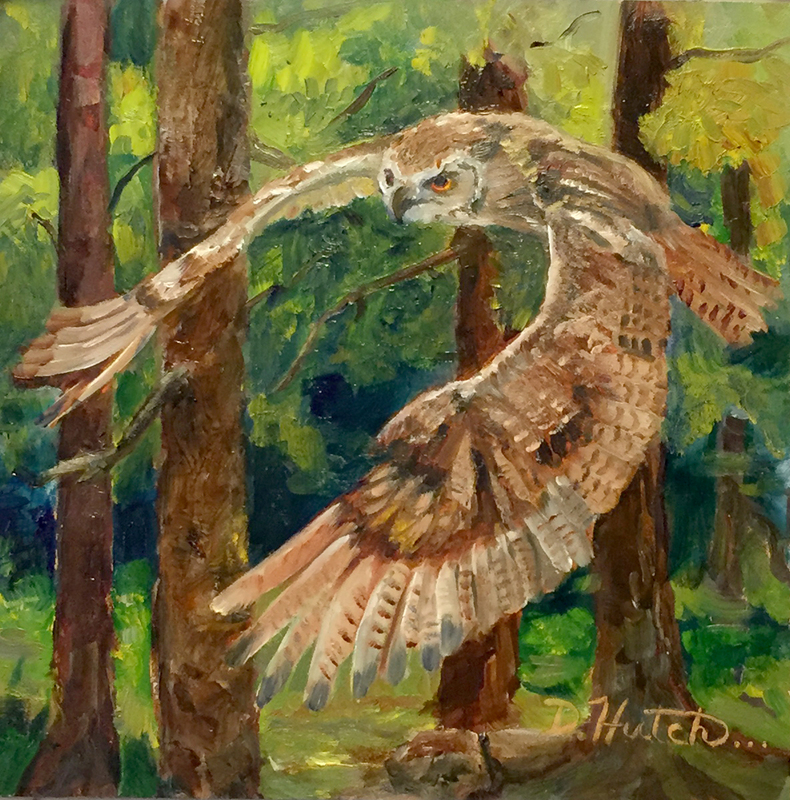 I decided after a few days of drying that the owl needed to stand out more from the background. I glazed a layer of ultramarine blue (which is transparent) over the middle of the background. 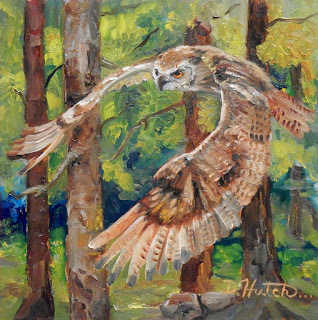 This will make the background recede and the owl stand out. This painting is done. I will post it on DPW soon.You can check out my other available paintings by clicking on the DPW link on the sidebar.